Being featured on the September 2015 cover of Redbook magazine was one of the best experiences I’ve had since starting this blog. So, when I was invited to contribute to the Ask Redbook page of the April 2016 issue, the answer was surely “heck yeah!” Read all about it in the current issue. By the way, today is the last day to enter Redbook’s Real Women Style Awards for your chance to be on this year’s September cover. If you haven’t already entered, just do it! Redbook is currently my favorite magazine, and it's even better when I see someone whose blog I love. Congratulations, and I hope we see even more from you in the future! Thanks so much for the kind words, Anne! I really appreciate you. 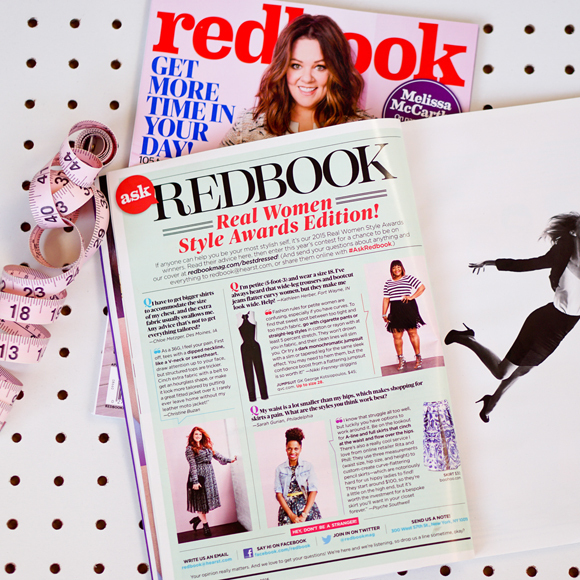 Redbook has long been one of my favorite magazines too, so it's been such an honor to be able to work with them.